I am pleased to announce the launch of my Machine Embroidery Project Boxes. I will be taking orders for this project box over the next two weeks and will personally make up each box with everything you will need to make either character cards for your friends, a small wall hanging, panel or journal cover motif. All colourful materials, patterns, instructions, beads buttons and ribbons will be presented in a durable box and will be with you, the first week of November. Dolly Doodle is my first project box and is a free motion machine embroidery character that I have designed to help you become more confident with your free motion stitching. She is based on a swatch of fabric adhered to a backing fabric and you are going to learn to draw in the details with your sewing machine. She has many poses, skills and friends and looks forward to helping you gain confidence with your free motion stitching. £17.50 plus £2.50 post and packing UK. Post and packing for abroad is also available. 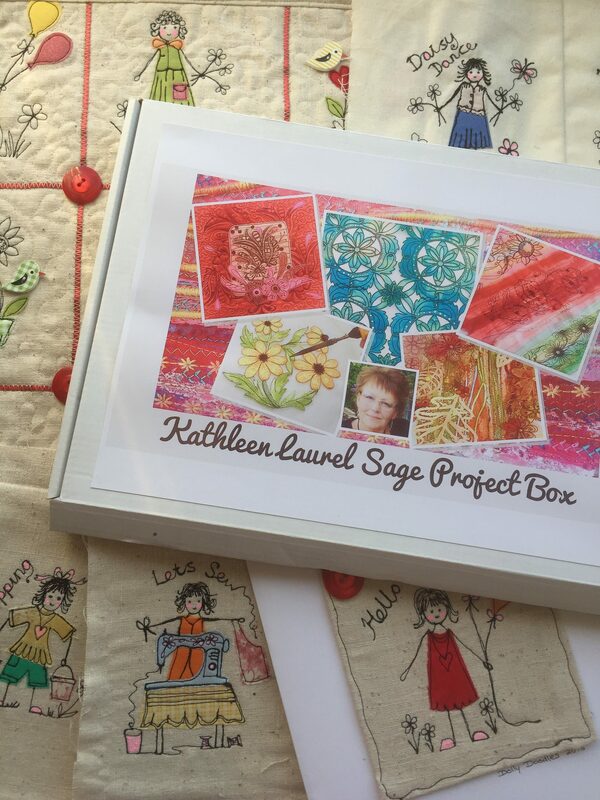 ORDER YOUR PROJECT BOX TODAY FROM THE PROJECT BOX SECTION ON MY WEBSITE HERE. 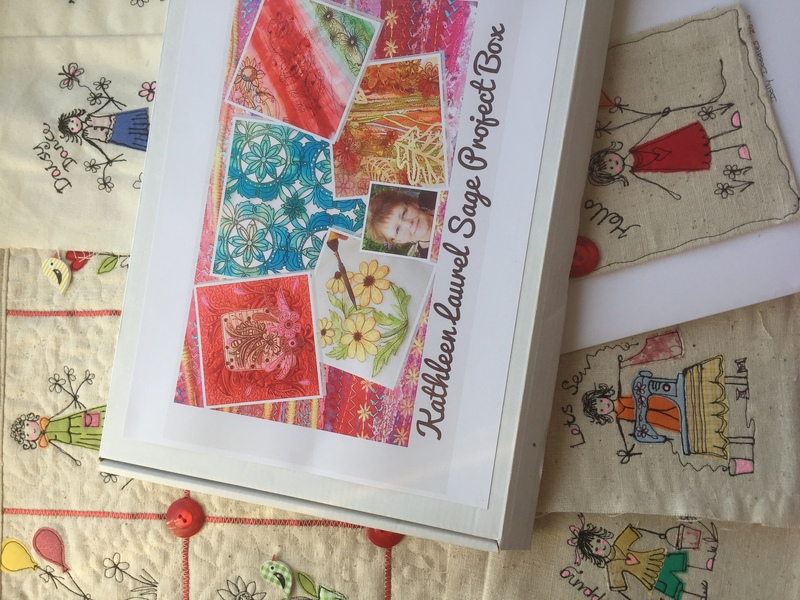 This entry was posted in Project Boxes on 4th October 2018 by Kathleen.